For me, the news of a repeat cesarean wasn’t all that awful. It meant an end was in sight, and I had the utmost confidence that Dr. K, the obstetrician who would be doing the surgery, would get her out safely and on time. He’s as good as it gets in my city. The husband, however, didn’t take the news so well. With Norton, we’d had a cesarean, but it was scheduled and we knew that it was going to happen. This was unplanned and occurring because things weren’t quite working out like they were supposed to. He was terrified. One of his biggest worries about child birth was that something would go wrong and he’d lose both of us. He had this same worry when I was pregnant with Norton. I know he has that worry because he loves me and he loves our babies, but it doesn’t make it any easier for him. I was really, really glad that we’d hired our doula. The husband was pale with worry. I, however, was fine, but in too much pain from the cramping to be terribly reassuring. He hadn’t eaten, so I suggested that K, our doula, go with him to get him something to eat. I knew that she’d be able to calm him down at least a bit. While he was gone, Dr. K came back in to do the consent paperwork with me. 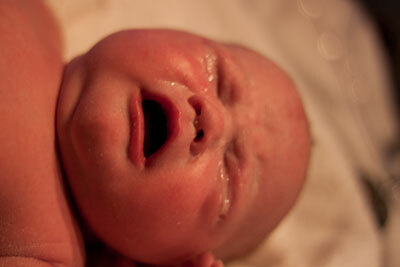 It was pretty quick and easy; it’s not like this was my first cesarean. 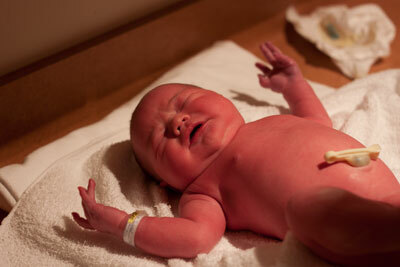 A repeat cesarean meant that I already knew what would happen. The only thing that I added that made this different than the last time was I requested that Dr. K do a tubal ligation while they were in there. The husband and I had already discussed this; we knew that Eudora would be our last and we wanted something permanent. He was willing to get a vasectomy, but if they were already opening me up for surgery, there was no point in one of us having a second surgery. Then the nurse and a nursing student came in. They wanted to talk to me about a couple of things. One was my recovery. With Norton, I recovered in my room in labor and delivery, and he was with me. This time, they were too busy and didn’t have the staff, so I’d have to spend two hours in the recovery ward away from my baby. I wasn’t impressed. I was going to completely miss out on that quiet awareness period, just like I had with Norton. With Norton, it was because I was too heavily sedated. This time, I wouldn’t even be in the room. I was unimpressed. Then there was the next part. The surgical nurses had requested that they do the catheter before I was in the operating room to save a bit of time. That hurt. A lot. It was when I finally started using the nitrous oxide that they had been offering. It was worse than the awful examination that I’d had in one of the assessment rooms a few days before. Once it was in, it was still painful. I insisted (firmly, but not rudely) that they remove it, and they could put it back in when I was in the operating room, after I’d been given my spinal block. My doula was actually impressed with how I’d managed to be assertive about the issue without being a jerk. I spent about twenty minutes in the bathroom after the catheter was out; I felt like I had to go nonstop even though nothing happened. It was rather painful. Worse than the contractions and cramping had been. Ha. Right. Okay. I decided that it wasn’t worth the argument; he’d see the panic for himself when we were in the operating room. And around thirty minutes later, I was getting prepped to go in the operating room. I suspect that this might have been the hardest part for the husband. We had already agreed that as soon as she was out and they were taking her out of the operating room, he would go with her. One of us would always be with her at all times. But while I was in the operating room to start, he wasn’t allowed to go in with me. He had to wait until I was on the table and properly drugged. As I was getting wheeled in, the nurses and I were laughing and joking. It was a pretty light-hearted moment, and things stayed pretty light and easy as the surgical nurses took over. No worries. Then the anesthesiologist had me sit up and tilted the table a bit so that I’d arch my back just right for him to insert the needle between my vertebrae. The numbness started in and my body got heavier. Then, of course, the panic that I’d warned him about set in. I could still move my arms, and I was flailing and gasping that I couldn’t breathe. The nurse put an oxygen mask over my face, which made the panic even worse. That oxygen mask didn’t feel like a life-saving piece of equipment. It felt more like a pillow being put over my face, guaranteeing my suffocation. The panic became sheer terror: even though I knew that it was all in my head, the possibility of suffocating right then and there seemed very, very real. Dr. K and Dr. W, my doctor for the last half of my pregnancy, came in. She would be assisting. At that point, that was when the anesthesiologist took my phobia seriously. Some sort of sedative was put in, and I began to relax. It seemed almost like I could instantly breathe again. I apologized for my freak out, and the team told me not to even worry about it. At the same time, though, I couldn’t help but think that it’s not like I didn’t try to warn him. But I could breathe. They could start the surgery once the husband got in and then they could get Eudora out. The husband came in and stood beside me, holding my hand as they opened me up and lifted our baby out. I was allowed to keep my glasses this time around (I couldn’t with Norton), so I was actually able to see my daughter when they put her beside me to let me see her. But she was out, and she was perfect and so beautiful. I told my husband how much I loved him and reminded him to make sure he stayed with her. He left with our daughter as they closed me up. I missed the first two hours of her life as I was getting closed up and then I was in recovery, but pictures were taken. Here’s Eudora. She was born weighing eight pounds and eight ounces.